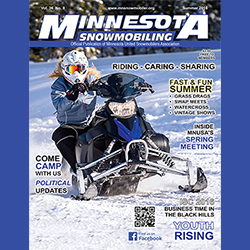 July 2016 - Midwest Sports Publishing Network, Inc.
Fertile, MN (July 11, 2016) – With the 2016-2017 snocross season on the horizon, Christian Brothers Racing is making roster moves, signing Jacob Yurk to race Pro Lite on the ISOC National circuit. A veteran Sport class racer, the upcoming Duluth National will mark Yurk’s debut in the Pro Lite class. Yurk, who hails from Grand Blanc, Michigan, was a top racer in the Sport class last season, finishing second in points and taking four wins and eight podium spots in the class. 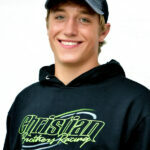 Yurk will be joined by Christian Brothers Racing veteran Pro Open rider Logan Christian as the team pursues championships in both Pro and Pro Lite classes during the upcoming season. For more information on Christian Brothers Racing visit www.christianbrosracing.com. Follow Christian Brothers Racing on Facebook, Instagram, Twitter and YouTube.